If you’ve been considering opening a credit card, keep in mind their pros and cons. They can provide security, convenience, and even rewards based on your spending. However, if cardholders don’t manage their cards carefully, they may find themselves facing unwanted consequences like a poor credit score or fees. Security: Credit cards offer a security net, if you lose cash – it’s gone, but a credit card can be canceled with no harm done in most circumstances. Record Keeping: Your credit card statement is an itemized list of your monthly expenditures, which can be helpful when it comes to budgeting. This way, when you need to figure out the exact amount to put aside for gas or groceries you will have those numbers available. Easy Bill Payments: You can pay your bills automatically via credit card, consolidating several payments into a single sum. This will also make it easier when you are reading your monthly statement while also reducing your number of monthly transactions. Potential Interest and Fees: Wise use of credit means understanding those costs and acting accordingly. Keep track of your spending to ensure that you can repay your credit card bill in full when it is due each month. 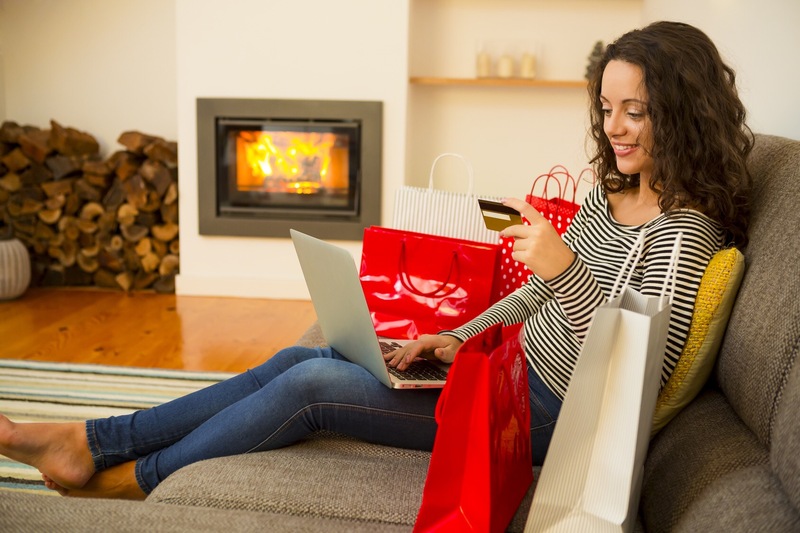 If you don’t pay off your credit card balance every month, the interest assessed on your account means you may be paying more than you expect. And if you spend beyond your means, the resulting interest and debt can become significant. With these factors in mind, you can compare the features and benefits of our Family Trust credit cards to fine the one that’s right for you! Both of our cards offer Travel and Emergency Assistance, Rental Car Coverage, Visa’s Zero Liability Policy coverage2. You can also manage your card from the mobile app where you will have access to view transactions, setup alerts, transfer funds, make payments, or request a cash advance. Awards Points: Get 1 point for every $1 spent, and redeem for cash, gift cards, or travel. To redeem points, login to desktop version of online banking, click Extra Awards Points from menu on left, and Order Award. Transfer your high balances to a low 2.99% APR1 Visa Platinum Awards or Traditional card for 6 months! Slim down your current credit card debt by transferring your balance with no balance transfer fee. Learn more here. 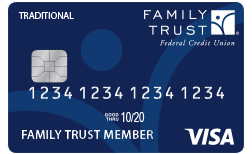 We are here to answer any questions you may have about your Family Trust credit card options. Please call 803-367-4100 or visit your local branch to find out more. 1 Offer ends 3/31/19. 1. 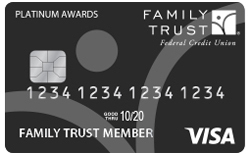 APR = Annual Percentage Rate for balance transfers & cash advances on Family Trust (FT) Platinum Awards or Traditional credit cards made 1/1/19 – 3/31/19. APR is correct as of 1/1/19 & varies based on individual creditworthiness & underwriting standards. On 4/1/19, promo. rate on those balances will remain until 9/30/19. On 10/1/19, rate on the promo. balance adjusts to variable rate in credit card agreement. As of 1/1/19, non-promo. APR for Visa credit cards ranges 8.95% – 18%. Rates are variable & subject to change without notice. Must be 21 years of age or older. Transfers from FT fixed rate card require card termination for approval. Existing FT credit card balances are not eligible. Maximum balance transfer/cash advance amount cannot exceed approved credit limit. 2 Certain terms, conditions and exclusions apply. Please refer to your Guide to Benefits for further details. Covers U.S.-issued cards only. Does not apply to ATM transactions, PIN transactions not processed by Visa, or certain commercial card transactions. Individual provisional credit amounts are provided on a provisional basis and may be withheld, delayed, limited, or rescinded by your issuer based on factors such as gross negligence or fraud, delay in reporting unauthorized use, investigation and verification of claim and account standing and history. You must notify your financial institution immediately of any unauthorized use. Transaction at issue must be posted to your account before provisional credit may be issued. For specific restrictions, limitations and other details, please consult your issuer.